When I was in college we had different speakers come to our dorms in the evening to talk with us. An effort to extend the learning outside the classroom and a chance for faculty members to “connect” with students differently, we would listen to professors or staff who had something interesting to share. Sometimes interesting, sometimes…not so much. There is one though, that I will never forget. 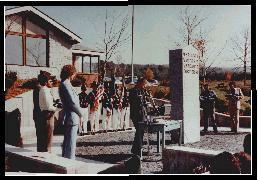 Dedicated in 1983 in Sharon Vermont, this is widely known as the first state sanctioned Vietnam Veterans memorial. 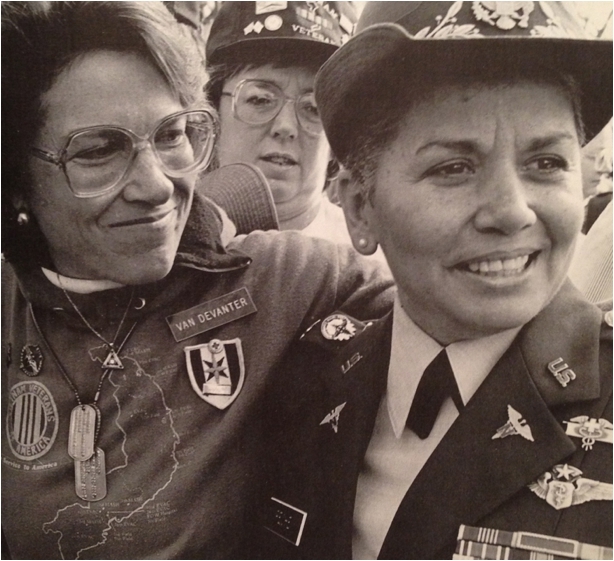 It was the early 1980’s so the after-effects of the Vietnam War were still very present in hearts and minds of the faculty and staff who either served in the war or who themselves, were in college at the time. Everyone in the dorm wanted to hear what the three of four “presenters” had to say about their experience. They were infantrymen, on the front line–fighting. To the rooms full of college kids, the stories were vivid, enthralling and scary. One of the men who shared his experience was the dean of students. 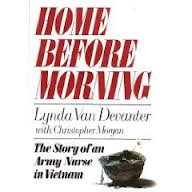 During a session in my senior year he’d recommended that if we wanted to get an in-depth, personal look at the war, we should read a book: Home Before Morning: The Story of An Army Nurse in Vietnam. I read it the summer after I graduated. Never had I read a book that made me cry; sob, in fact. I’d stay up at night reading until my eyes simply could no longer stay open. It took me a few days to finish it, and I slept with the light on in my bedroom for days after I was done. By far it continues, almost thirty years later, to be the only book that has moved me to tears. If you have the chance to, read it! On the left, Nurse Van Devanter. No one in my immediate family has ever served on active duty, deployed to a war zone, or died while in service to this country. I am an anomaly, I know. And like so many in this country, on Memorial Day, I thank all those who have given so much to ensure my freedom. Memorial Day 2014 in particular, I’d like to thank the faculty and staff members who willingly shared their stories with us so that we would know what price is paid for the freedoms we enjoy.